It’s a popular app for stock tracking which is synchronized with Yahoo finance server and has all essential features like technical charts, twitter, news, stock details, widgets etc. It is linked with servers in Argentina, Brazil, Mexico, Canada, India, Singapore, New Zealand, Australia, Italy, Spain, France, Germany, UK and US and gives information from different stock markets around the globe. You can get daily financial news in form of RSS feeds. You can search for news in Twitter and access different kinds of technical charts like Candlestick, bar charts, line charts. The information about Exponential moving average, Moving average and various technical indicators like MFI, RSI and ROI are found. You can view in Full-screen mode and there is option for pinch to zoom support. There is support for different currencies and automatic backup from cloud. Stock Quote is another popular stock market app which gives information about current market prices, latest stock quotes, currency rates, stock news, commodities etc. This application will give you pre-market, after-hour and real-time quotes. You can also get information like Technical charts, stock option chain, commodity futures, currency portfolio with convertors and latest currency news, Overview of market status with funds, indexes and ETF, financial news from social websites and major news sources, commodity widgets, etc. If you want to see real-time stock quotes and market trends from Google Finance, you can install this app. You can manage your stock portfolios with this app and watch latest market trends along with technical indicators, charts and indexes. 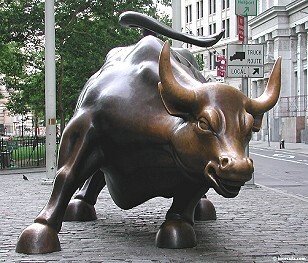 It gives overview of various stock markets around the world including NASDAQ, NYSE, DOW JONES etc. This app will automatically synchronize with the existing portfolios in Google finance and provides quick access to various charts. You can also watch latest company news and stock market news. A popular app for managing your stock portfolios and tracking the market trends, this App is a favorite among investors and stock traders. The application is free from ads unlike other free apps which display lot of advertisements that irritate the users. The user-interface is very simple and intuitive providing accurate information on your stock performance. You can analyze the values of your stock and the trend in which it’s changing through technical indicators, bar charts, line charts etc. You can easily search for new stocks and add portfolios. You can also create watch lists for the stocks which you want to monitor. Purchasing and selling stocks in multiple currencies and generating reports are very simple. You will get alerts when stocks reach below threshold limits which you set. You can compare portfolios of different stocks side-by-side to analyze the performance and receive notifications whenever there is significant change in the value of your stocks. This is also an interesting app for getting latest updates on stock markets from multiple stock providers. It has supports for both Yahoo and Google price feeds and different currencies. You can carry out performance analysis with pie charts, line charts and bubble charts. You can also import profiles from Google Finance to this app. You can track the stock market indices of leading Asian, European and US stock markets including NASDAQ, Nikkei, CAC, Dow Jones, DAX etc. The Pro version has much more details and indices displayed in separate tabs. This guest post has been written by Roshni Desai who recommends PaceButler as the best service who buys old cell phones buy back and suggests looking at a PaceButler Review for knowing more details.